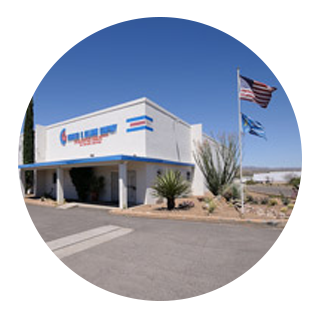 Gillman's track record goes back over 60 years in supplying only the toughest of Military Wiring Harness Applications. Our wire harnessing consistently outlasts and outperforms the competition. Our Radio Frequency and Microwave Cable Assemblies are currently being used in US Military Fighter programs as well as pioneering robotic and unmanned vehicle research and development. We handle applications for naval gun systems, RF command and control, as well as amphibious vehicles. When it comes to Cable Assemblies & Wiring Harness Systems, nobody outdoes Gillman. "We are a Certified Service-Disabled, Veteran-Owned 'Small Business' located in a HUBZone, that has been built on a foundation of loyal service to our customers. Together with uncomprising quality and extremely competitive pricing our dedicated team of professionals support America's Warfighters." As a pioneer of the Maquiladora - or Twin Plant program, both U.S. and Mexico facilities are ISO:9001:2015 certified. Charles E. Gillman Company is an ITAR and SAM registered contractor: CageCode: 5H723. In addition, we are a Service-Disabled, Veteran-Owned "small business" located in a HUBZone. We are IPC WHMA-620B certified; our soldering can be certified to MIL-S-45743, MIL-STD-1460, MIL-STD-2000 and J Standard-001 Class 3. Our Ethics Program reaffirms the ethical standard upon which the Charles E. Gillman Company operates.